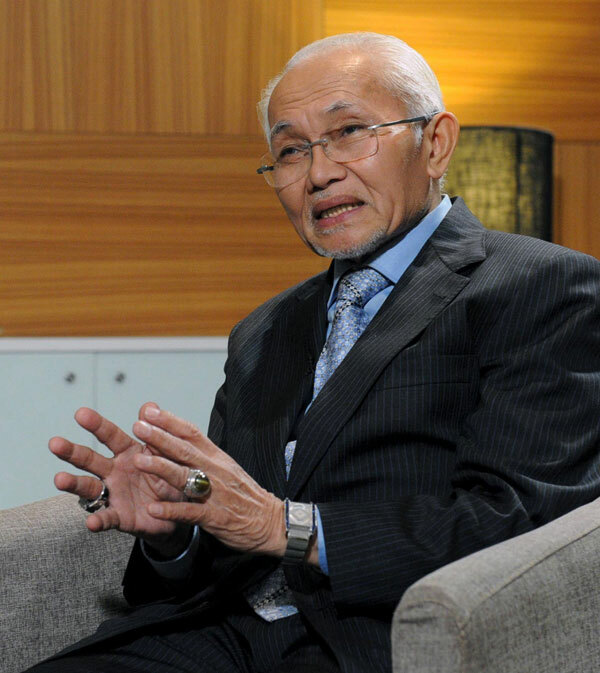 The authorised biography of Tun Pehin Sri Abdul Taib Mahmud titled ‘Taib The Visionary’ will be launched by Chief Minister Datuk Patinggi Tan Sri Adenan Satem on Jan 15 at the State Legislative Assembly building. A comprehensive story of the Yang Dipertua Negeri, from the truths, controversies, unanswered questions to his illustrious 33-year career as chief minister is captured in the biography authored by Siva Kumar G.
Published by APR Media, the book will have 750 pages. It is a sequel to ‘Taib – A Vision for Sarawak’ which was authored by Siva in 1991. According to Siva in a press statement, it took slightly over three years to complete the 35-chapter book with about 500 photos. “It includes eye-to-eye sessions with the man himself, involving over 20 personalities and many site visits throughout the state. “It is an essential read for all Sarawakians, a book to look forward to as nearly half its content will be personal and emotional, including his personal life and many off-duty glimpses never previously written or reported,” he said. A graphic and design enhanced text-led book, it will be available at all major bookstores in Kuching and other major cities by the end of this month. The Malay and Chinese versions are expected to be published in the second half of the year.